I am packing this one post full of lots of recipes and ideas since I fell so far behind. This is that box of stuff I said I had plans for in an earlier post. Cards our family made this year and are so cute and fun while still holding the true meaning of Christmas. Ideas for this box of stuff I bought at Good will. Basket 2.00 + cups total 2.00 + Jar will be .75 = 4.75 before the movie and hot cocoa jar of course. Think about a family of 4 you could spend 40-80 bucks on gifts if you spent 10-20 a piece so this will be dirt cheap. Gift baskets serve a greater purpose than giving large expensive gifts to each family member. They encourage family time for your loved ones. You can help keep Christ in Christmas by adding a christian Christmas movie or add any family movie of your choice. Gift baskets for a family are very cheap. (I know most prefer a more sophisticated form of the word, frugal or inexpensive. I like CHEAP although it sometimes sounds like a word you would use to describe something that falls apart easy like "dollar store crap" !) The great thing about buying the stuff to give at Christmas from charity stores is that you are "giving while giving back". It is kind of a double dip on giving and makes you feel all warm inside if you think about the people the charity store is helping. These are so easy to throw together and give out with a jar of Homemade Hot Cocoa. Throw in a Christmas movie or music CD and you have a great gift for a family to enjoy that is very cheap. Although mine are not done as I said I am running behind I still wanted to share the Idea before Christmas is over. This particular basket is for a family of 4. (not to be named ha ha) I will give it with a jar of cocoa. I bought Jars on clearance awhile ago. They are huge and I should have smaller but I guess they get a ton per family. You could also take those little gift bags upper right hand corner of the box above (1.00 per 12 at family dollar) place a serving in each of one of the recipes and put that little bag in each cup with directions. Buy a basket and place bowls (from a charity store) in it with popcorn and a movie. Non food items to throw in a basket are Dollar store items such as soaps, hair clips, brushes, bath soak, a pen and writing journal. This can be geared for a single person to take time for them. I don't want to leave out the single person when talking about the gift baskets for families. Holidays can be lonely for single people and so a basket would be a great gift to give to a single person who you could invite over to watch the movie with your family and make them cocoa or whatever you choose for their basket. I took wrapping paper and put it inside the top of the lid to decorate it for Christmas. Then I took red curling ribbon and tied it around the lid took it back off and tied a bunh more to it and curled them. Then I put it back on. It still looks plain to me but as I said I am not done with these yet just wanted to add the recipes and things. may not seem so plain once it is filled and has a label hanging from it. Add 1/2 cup popcorn to a brown lunch sack. microwave for 1minute 30 seconds times may be different for yours so check it and adjust time. Next Christmas idea is my Old lady smock, apron? The design is the main point here. Take 3 doily's turn them upside down, Sew on a stem made of material and add some ribbons. You have a Christmas tree that can be put on a shirt or apron or even framed for a Christmas print. If you live in our area they sell these doily's for cheap at johns produce. I doubt they have a webpage but that place is packed full of junk for cheap. They also have the above mentioned "dollar store crap" I do LOVE shopping there but you have to watch the pricing. They have outsmarted me and gave me a deal that I found out later was no deal after all more than once. (I may add one of those deals later in another post though it is very embarrassing and I am not sure I should post it yet. ) If you can not figure out where to buy a certain item they are the place to look for it cause they have a bunch of various strange things. My 5th item I wanted to add is kind of super cute and easy as well. Don't mind the fact that the babies are half dressed to paint and I am wearing Jim's army sweats with Christmas socks. Made with a frame I bought at a charity store for I think a dollar fifty? Valuland on 4 mile in Grand rapids. I am sharing this post with 25 days of Christmas unless they removed my link cause I did not post for a few days as well as sharing it with financial friday link up. the main reason to share with FF LINK up is the cost of making your own microwave popcorn is so CHEAP. It is also cheap to make baskets when buying items at charity stores. So please tell me what you think of my new blog layout. I am just learning this process of editing pictures adding things and all this stuff I did to make It this way lol I also got a new comment form and you can use many different accounts to comment on it. I love the sweet cream coffee idea! I had never seen this one before. And your apron/smock is super cute! 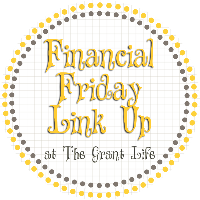 Thanks for linking up to Financial Friday Missy! No such thing as Simply raising 8 of anything...LOL! You are awesome...love your great ideas. I'm a new follower. Stop by and visit and follow too if you like. Thanks for linking to the 25 Days of Christmas! You are right about that its not always simple but we try to make things as simple as possible. lol I stopped by to visit and will stop back I am following so I can find you again.